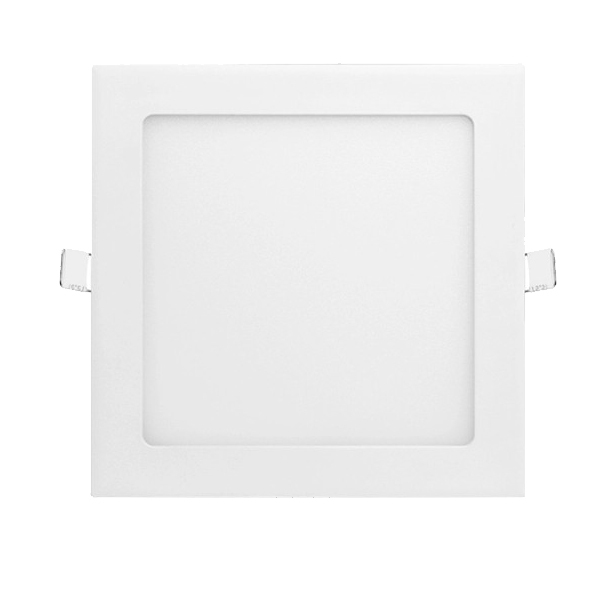 Square LED panel lights have revolutionized lighting; the sleek design gives a streamlined look to any room, and the high intensity, soft lighting is conducive to work. They are also the most cost-efficient lighting solution today, which is why many businesses are now making the move to LED panel lighting systems. 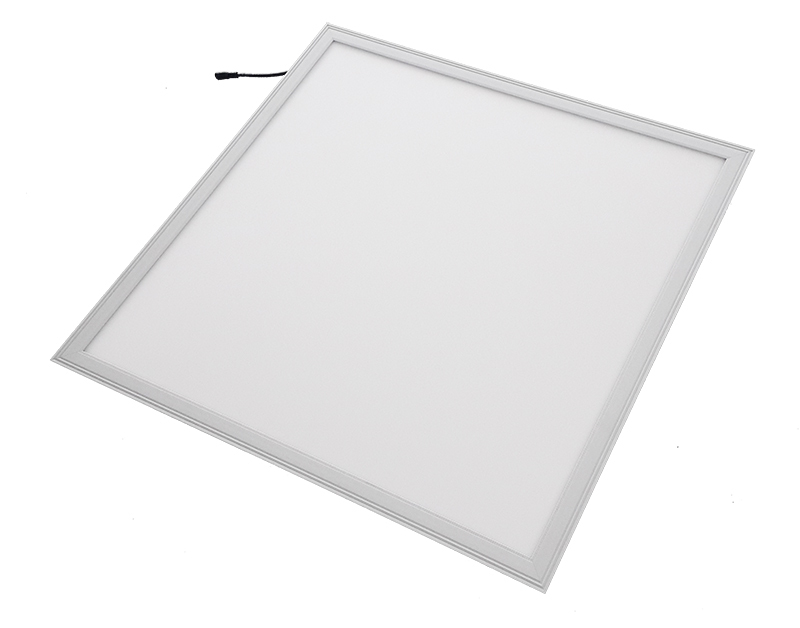 The square LED panel light is just like most LED panel lights. 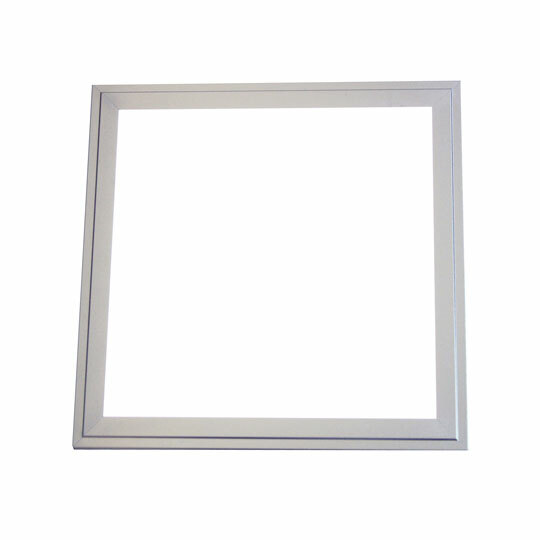 This lighting fixture features an aluminum frame to house the semiconductor light source (the Light Emitting Diodes), the light guide plate, the diffuser and the reflective plate. 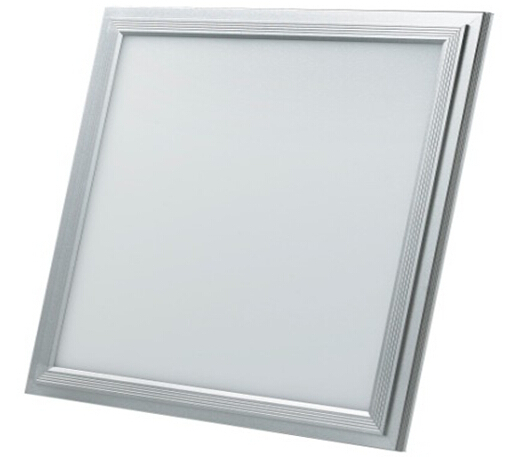 The guide plate is the optical system designed to direct the light and create homogenous lighting. It is typically an acrylic sheet etched with a dot matrix design. It is usually made of polymethyl methacrylate (PMMA), although polycarbonate (PC) sheets are used if better thermal management is required. The high efficiency diffuser located at the front of the guide plate also helps ensure smooth lighting distribution, resulting to a soft glow. 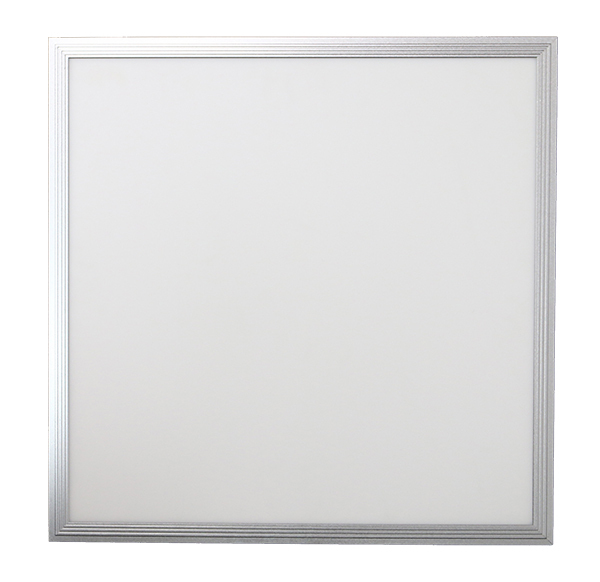 Behind the guide plate is the reflective panel that makes high lumen lighting possible. These layers are mounted unto a square solid back cover. 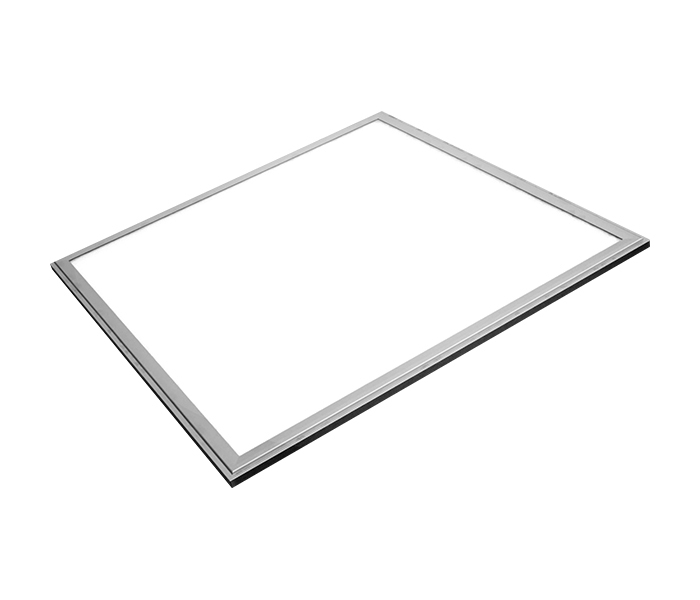 Some LED panel lights, particularly the ones with bigger capacity, come with heat sink systems to regulate heat. Some also come with fittings that make it possible to dim the lights when needed. 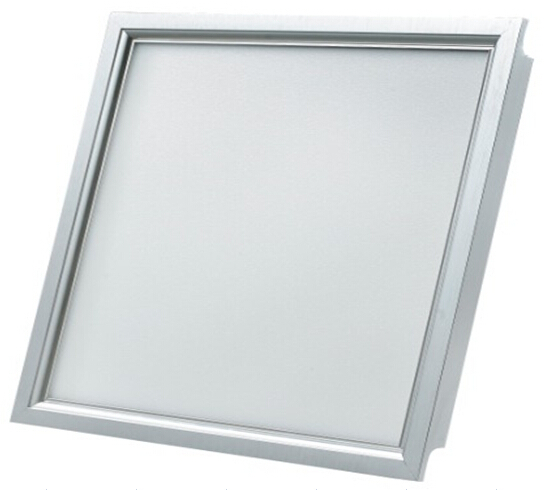 Not only are LED panel lights a high lumen light source; they also utilize a high efficiency current drive system. Heat dissipation is excellent as well. LEDs are also often configured in such a way that each bulb, or group of bulbs, can be independently switched on and off. 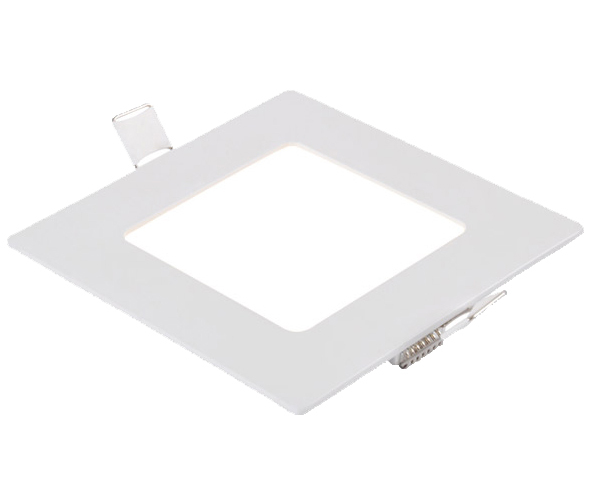 The special circuit design of most LED panel lights in the market today would enable the lighting system to still function despite a single broken LED. 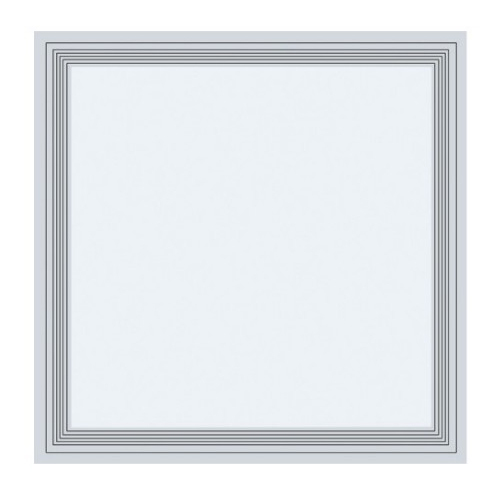 Square LED panel lights could instantly flood the room with light when switched; there would be no flickering and no humming. There would also be no RF interference. 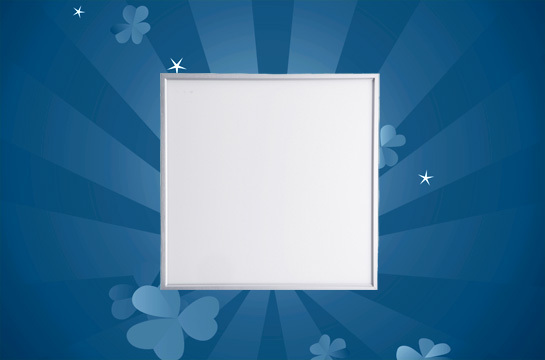 While the flexibility of the light source makes it possible to come up with LED panel lights in various shapes, the square LED panel light remains to be one of the most widely used because of the sleek style, which can give any setting a modern and organized look. These panel lighting systems would look great in residential buildings, but they would look best in offices, conference rooms and lobbies, or virtually any setting that would benefit from a business-like atmosphere. 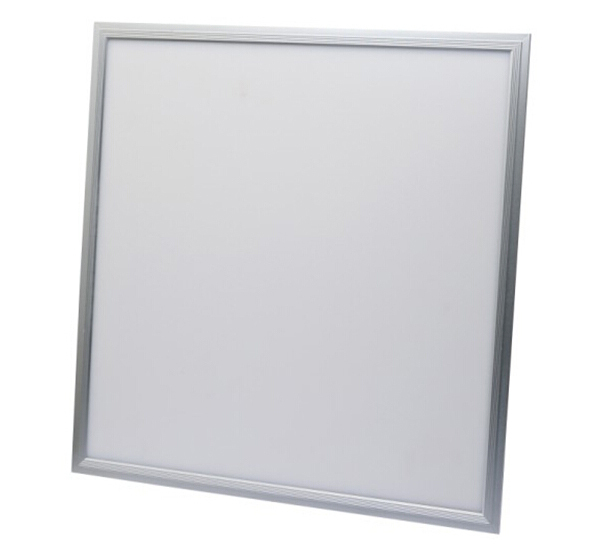 LED panel lights are available in various colors, but majority of the square LED panel light colors available in the market are white (warm white, natural white and cold white), with warm white having the lowest Luminous Flux (perceived power of light) ratings and cold white having the highest. LED lights are not likely to burn out; in fact, their life span is not measured by the time it takes for them to stop functioning altogether, but by the time that it takes for the luminescence to drop by 30%. The theoretical life span of LED lights is around 100, 000 hours, which means that they could last for around 27 years. However, the average life span is around 60, 000 hours, which means that they could last up to 20 years when used for 8 hours every day. That is significantly better that the lifespan of CFLs (6, 000 to 15000 hours) or incandescent bulbs (1500 hours). The resin body is also vibration-resistant, which makes the LED light panel more durable. The significantly longer lifespan results to reduced bulb replacement costs. 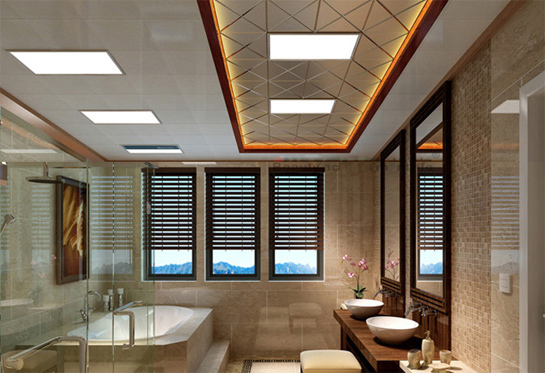 LED lighting systems are extremely energy efficient. It has been established that these lighting systems produce high intensity light, but when designed properly, a LED circuit could also have as much as 80% energy efficiency. Note that most incandescent operate at 20% efficiency (this means that of the energy used, only 20% was actually converted to light energy and the rest was released as heat energy). 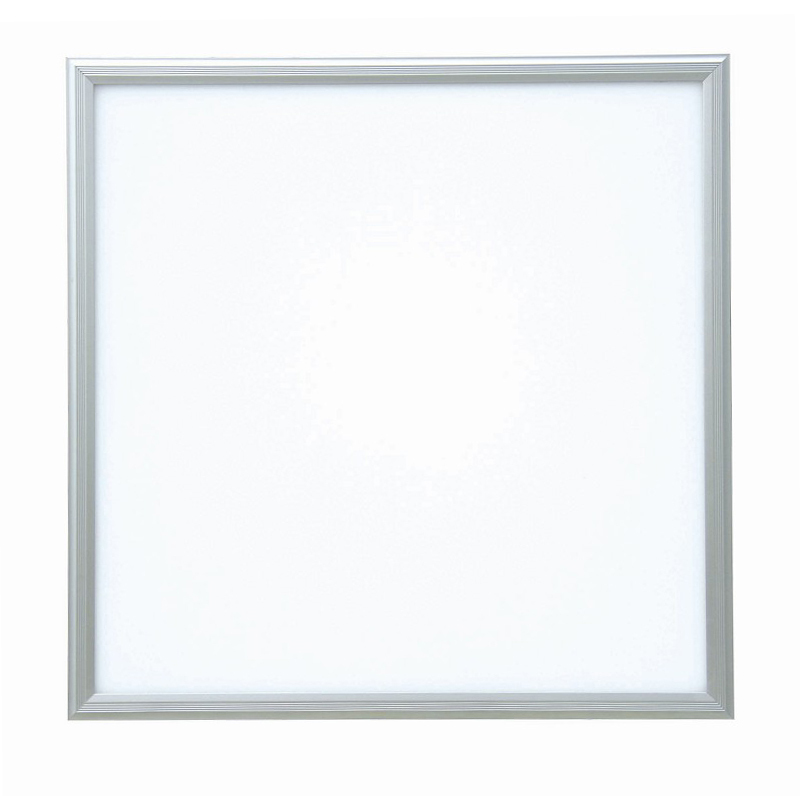 Square LED panel lights do not use up as much energy and still have excellent light outputs. Power consumption: 45W; Input voltage: AC 200-265V; LED quantity: 108 pcs; Light source: Samsung 5630 SMD LED; Luminous flux: 3800 lm; CRI: 82 min. ; Warranty: 3 years. Power consumption: 40W; Input voltage: AC 85-265V; LED quantity: 200 pcs; Light source: 4014 SMD LED; Luminous flux: 2400 lm; CRI: 70 min. ; Warranty: 2 years. Power consumption: 48-52W; Input voltage: AC 85-265V; LED quantity: 240 pcs; Light source: 4014 SMD LED; Luminous flux: 3300 lm; CRI: 70 min. ; Warranty: 2 years. Power consumption: 60W; Input voltage: AC 85-265V; LED quantity: 320 pcs; Light source: 4014 SMD LED; Luminous flux: 4200 lm; CRI: 70 min. ; Warranty: 2 years. Power consumption: 47W; Input voltage: AC 85-265V; LED quantity: 240 pcs; Light source: 2835 SMD LED; Luminous flux: 3750 lm; CRI: 80 min. ; Warranty: 3 years. Power consumption: 33W; Input voltage: AC 85-265V; LED quantity: 160 pcs; Light source: 4014 SMD LED; Luminous flux: 2600 lm; CRI: 70 min. ; Warranty: 3 years. Power consumption: 38W; Input voltage: AC 85-265V; LED quantity: 180 pcs; Light source: 4014 SMD LED; Luminous flux: 3000 lm; CRI: 70 min. ; Warranty: 3 years. Power consumption: 48W; Input voltage: AC 85-265V; LED quantity: 288 pcs; Light source: 4014 SMD LED; Luminous flux: 3800 lm; CRI: 80 min. ; Warranty: 3 years. Power consumption: 48W; Input voltage: AC 100-277V, 50/60Hz; Power factor (PF)≥0.95; LED quantity: 252 pcs; Light source: 3014 SMD LED; Luminous flux: 3640 lm; CRI: 80 min. ; Warranty: 3 years. 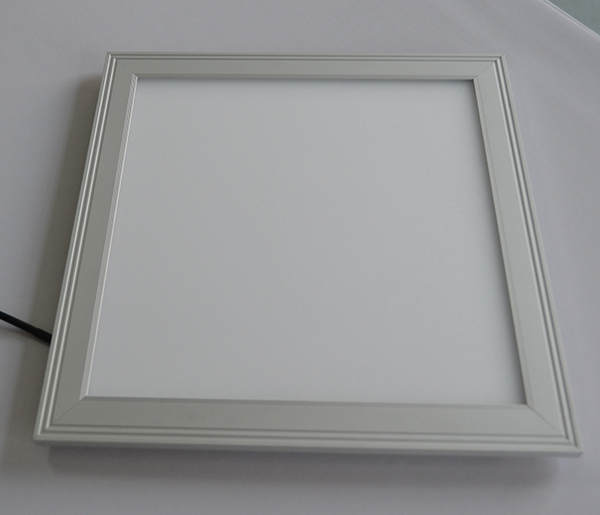 Power consumption: 40W; Input voltage: AC 100-277V, 50/60Hz; Power factor (PF)≥0.95; LED quantity: 192 pcs; Light source: 3014 SMD LED; Luminous flux: 3000 lm; CRI: 80 min. ; Warranty: 3 years. Power consumption: 45W; Input voltage: AC 100-277V, 50/60Hz; Power factor (PF)≥0.95; LED quantity: 280 pcs; Light source: 3014 SMD LED; Luminous flux: 3600 lm; CRI: 80 min. ; Warranty: 3 years. Power consumption: 48W; Input voltage: AC 100-277V, 50/60Hz; Power factor (PF)≥0.95; LED quantity: 280 pcs; Light source: 3014 SMD LED; Luminous flux: 3840 lm; CRI: 80 min. ; Warranty: 3 years.